Visit this page often to stay apprised of current news and events. Use our submission form to suggest news or events for inclusion on the Multiple Systems Navigator. Free Training from NYS Education Department! Save The Date! The New York State Education department is pleased to announce Free Training! Creating a Culture of Care in Schools Using Restorative Practices with Dr. Tom Cavanagh. These 4 consecutive day, train-the-trainer sessions will be held from 8 am-4 pm, each day. Please choose One Location to register. during the Annual Recovery Conference! The U.S. Department of Justice (DOJ), Office of Justice Programs (OJP), Office of Juvenile Justice and Delinquency Prevention (OJJDP) is seeking applications for funding under the fiscal year (FY) 2019 Family Drug Courts Program. 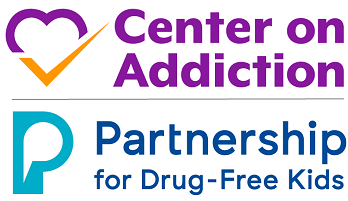 This program furthers the Department’s mission by supporting states and communities as they develop and implement effective and coordinated substance use disorder intervention programs. https://www.grants.gov/web/grants/register.html prior to submitting an application. All applications are due by 11:59 PM (ET) or 8:59 PM (PT) on May 29, 2019. The Justice Center for the Protection of People with Special Needs will be conducting a conference with multiple sessions throughout the day. Each session is targeted for different audiences including provider agency representatives under the jurisdiction of the Justice Center, individuals receiving services, families, peer advocates and other interested stakeholders. You may register for the morning General Session or the afternoon Breakout Sessions, or both morning and afternoon sessions. You will be asked to choose your sessions on the registration page. A summary of the session topics is here. Don't wait! Register Now for May 22, 2019 Event! This conference will be repeated five times during 2019 in various locations around the State. Information for other locations are available on the registration page. Time: Between 10:00 a.m. to 3:00 p.m.
2019 New York State APSE Employment First Training Institute will be in Lake Placid! This event will be in Lake Placid this year! Surrounded by pristine natural beauty, Lake Placid is a charming destination for weekend getaway. Have you registered yet? Don’t miss your chance to attend multiple learning sessions on topics such as leadership, creative job development techniques, work incentives, shared decision making, mental health, addiction and recovery, plus many more. Get updates from New York State funding partners such as OPWDD and ACCES-VR. Qualifying sessions may be applied towards course credits in Innovations or CASE. The networking opportunities will be endless. Join us now before it’s too late. ACE Symposium REGISTRATION IS NOW OPEN! Registration to attend the 2019 Annual Capital Region Symposium on Adverse Childhood Experiences, Trauma and Response IS NOW OPEN! This year's page is being brought to you by the Association for Children's Residential Centers (ACRC). Please feel free to share this news with your colleagues! 2020 Census - NYS Complete Count Commission Hearings Annoucement! The New York State Complete Count Commission would like to hear from you about the under-count of young children in the Census. Please attend one or more of these meetings and remind the Commission about the need to accurately count New York’s children. Also, please let members of your network know about the meetings so they can participate and share. * Children 0-4 years were under-counted in the last census at a higher rate than any other age group. * The estimated under-count for this group in New York State was -4.5%. * The reasons for this under-count are varied but often related to children’s race, ethnicity, income level and complexity of the household where they live. Below are the dates when hearings will be conducted across the state. Suffolk County Legislature - William J. Lindsay Co. Complex, William Rogers Bldg. 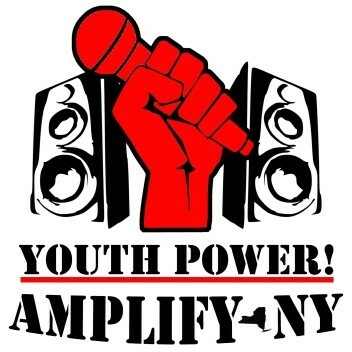 2019 Youth Power Leadership Forum (YLF) will be hosted in Central Region of New York. It is aim for young people ages 14-24. This forum will help Youth to speak up, build leadership and self-advocacy skills, and prepare to take on leadership roles. This forum provides opportunities to Youth and gives the next generation of leaders the tools and support they need for success. Please join us for a FREE 4-day, 3-night fun event with interactive educational format and the support of peers along the way! It is a safe and Youth friendly environment compliment with fun activities that all can enjoy! Application must be received by April 14, 2019. Please visit here for more details about this great news. AMPLIFY-NY invites parents and caregivers to participate in the Free Two-day workshop series in Central Region New York in Foundations for Leadership. Location for the workshop will be held at the Holiday Inn Liverpool, 441 Electronics Parkway, Liverpool, NY 13088. 1. Exchange organizational memberships at no charge to either organization-CWLA will become an associate member of CWLC and CWLC will become a supporting partner of CWLA. provided that these are offered at no additional cost. the 2019 (and 2020) CWLANational Conference in WashingtonD.C. 4. Partner on a joint initiative to explore how CWLA's National Blueprint for Excellence in Child Welfare might be adapted to the Canadian Context. 5. Co-Edit an edition of the Child Welfare Journal on the links between poverty and child welfare. Members of CWLA and CWLC will receive notice of opportunities to access these resources through CWLA or CWLC depending on their member affiliation. We will evaluate the collaboration that has resulted from the agreement and discuss a broader longer term agreement based on the shared interest of our two organizations and our strategic priorities. We both strongly support the value of shared learning across North America and will also work together to expand the opportunities for shared learning with other organizations around the world that share our commitment to improving outcomes for children and families who are vulnerable. This year is no different! We plan to celebrate on Tuesday, May 7 in Albany (location to be determined). The event program is under development and will feature workshops, awardee recognition luncheon, a keynote and other speakers, and offer an opportunity to celebrate those working hard to produce positive outcomes for children, youth, young adults and families. The 2019 theme is Building Bridges for Change: Supporting the Mental Health of Children, Youth and Young Adults. Please click here for more information about the process and to download the Nomination Form. Suggest News or an Event? Do you have relevant news or an event you would like posted to this site? Please be sure to include all relevant information. Click the button below to send us a posting request.